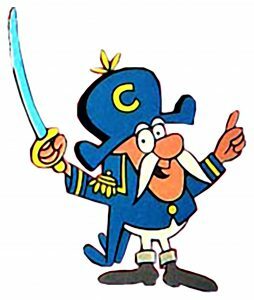 Division leader Cap’n Crunch has fallen in the Elite Eight round of the Cereal Smackdown along with three others. Cap’n Crunch was trounced by Frosted Mini Wheats 47 to 32. This means Frosted Mini Wheats is the Cap’n Crunch divisional leader and will head to the Final Four. Things were also frosty in another matchup, in which Frosted Flakes beat Cheerios 47 to 34. Frosted Flakes goes to the Final Four as the Tony the Tiger division winner. Lucky Charms heads to the next round after staying alive against Life in a 42 to 37 win. It was apples versus red berries in the Apple Jacks vs. Special K Red Berries race. Apple Jacks carried the division through to the next round with a 44-to-35 win. The Final Four will see Frosted Flakes versus Frosted Mini Wheats and Lucky Charms versus Apple Jacks. The only way to see your favorite get through to the finals is to vote.